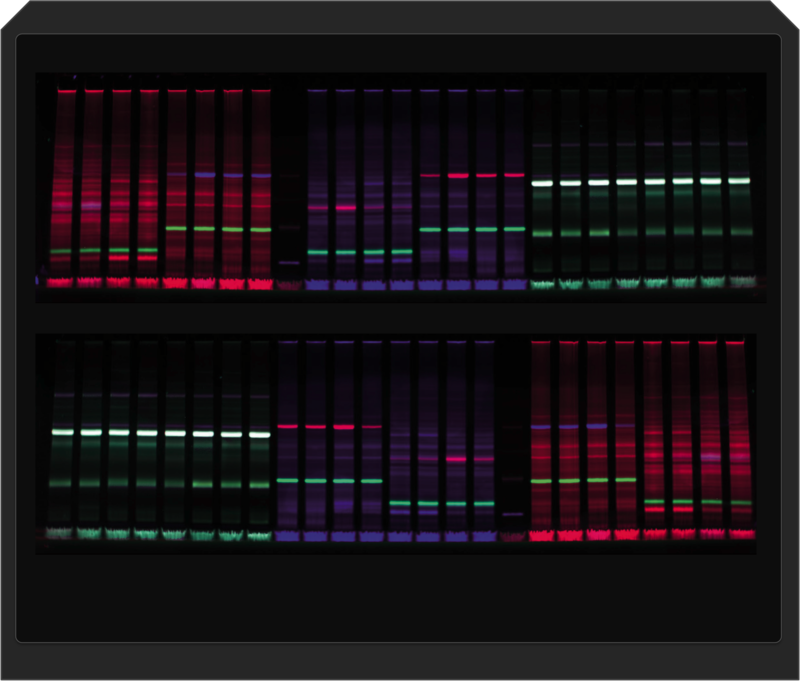 Octoplus QPLEX combines fast image acquisition from large multicolor 1D gels and blots (e.g. using Smart Protein Layers) or large Refraction-2D /2D-DIGE gels (20 x 24 cm) or with high sensitivity and the robust setup for daily routine. 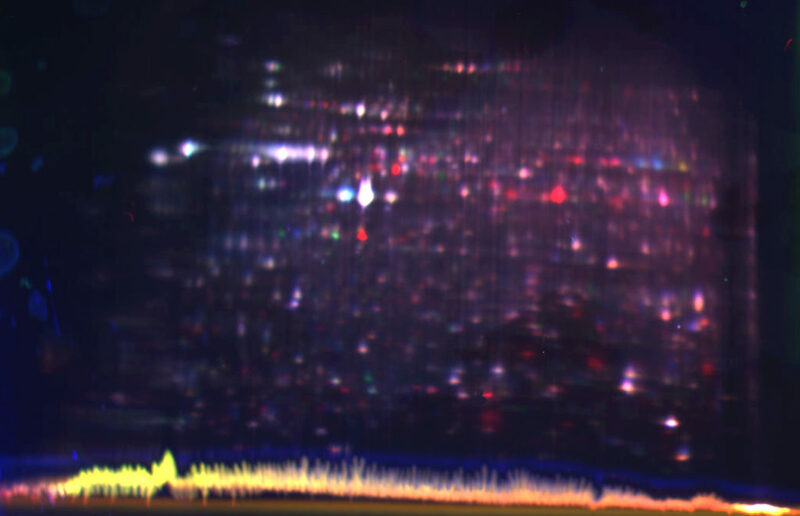 Based on superior CCD technology, high performance excitation of fluorophores, and on a fine tuned filter the system competes with laser scanners however up to 30x faster. 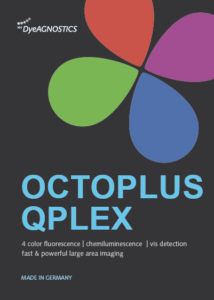 Due to its sensitive chemiluminescence detection, the Octopus QPLEX is ideally suited for combined protein analysis by combining RED + NIR fluorescence applications as well as ECL. 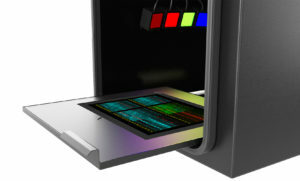 • high power 4-color (RGB + NIR) multiplex fluorescence detection system. Almost same sensitivity as laser scanners but 30x faster. • homogenous fluorescence and chemiluminescence detection of gels and blots size up to 260 mm (width) and 200 mm (depth). VELUM Gold 1D gel: 1-2 sec. 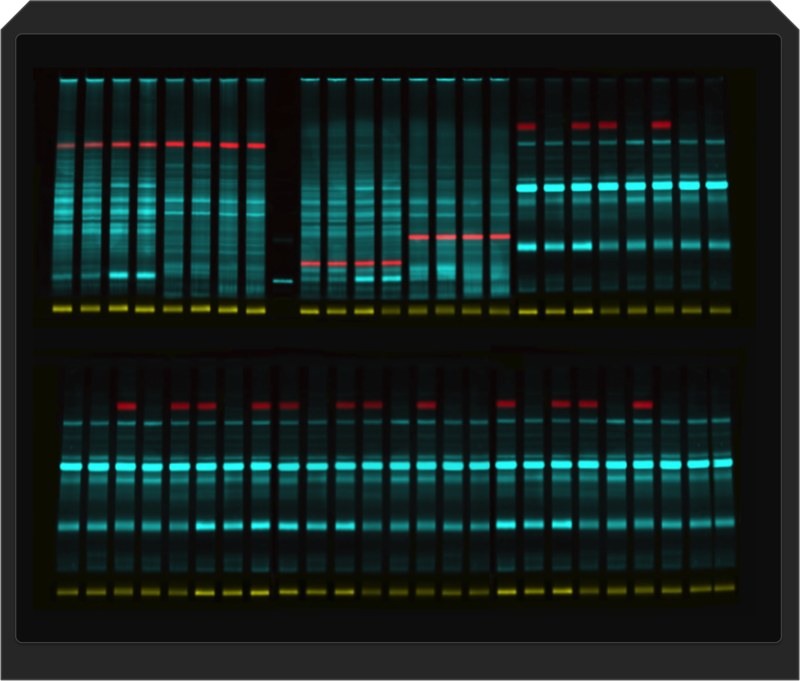 high power RGB fluorescence detection for e.g. high power NIR fluorescence detection for e.g.